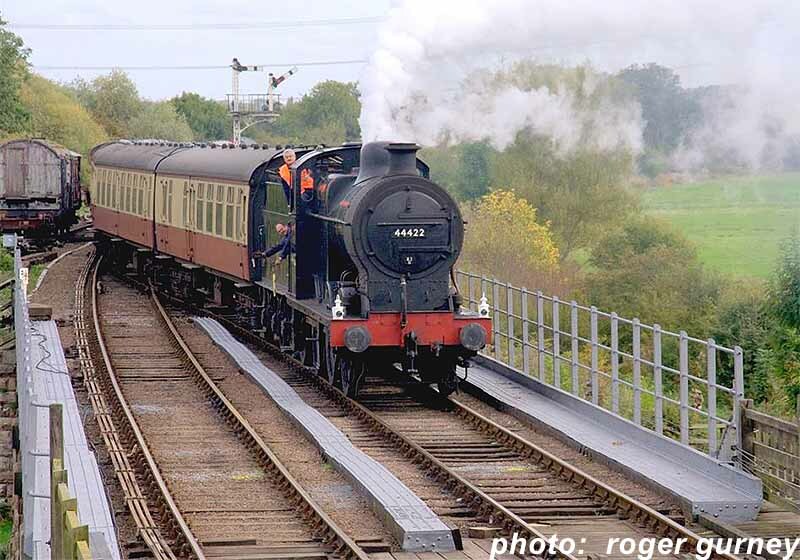 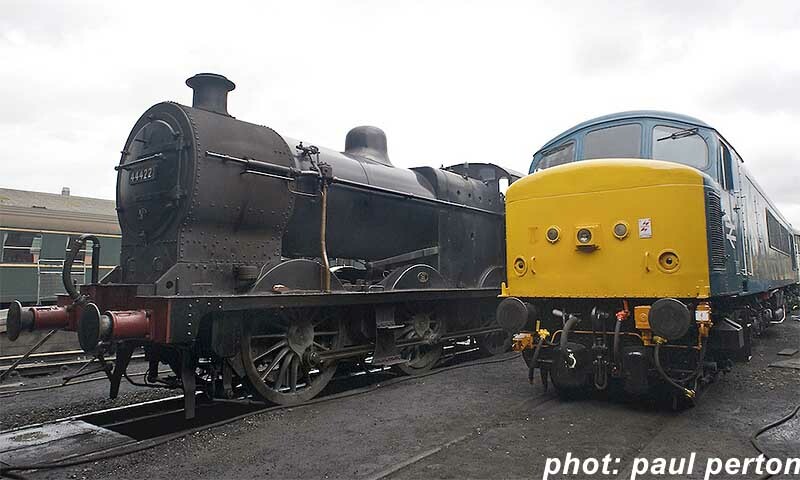 44422 visited The Nene Valley Railway for their "1968 - The Final Days" event. 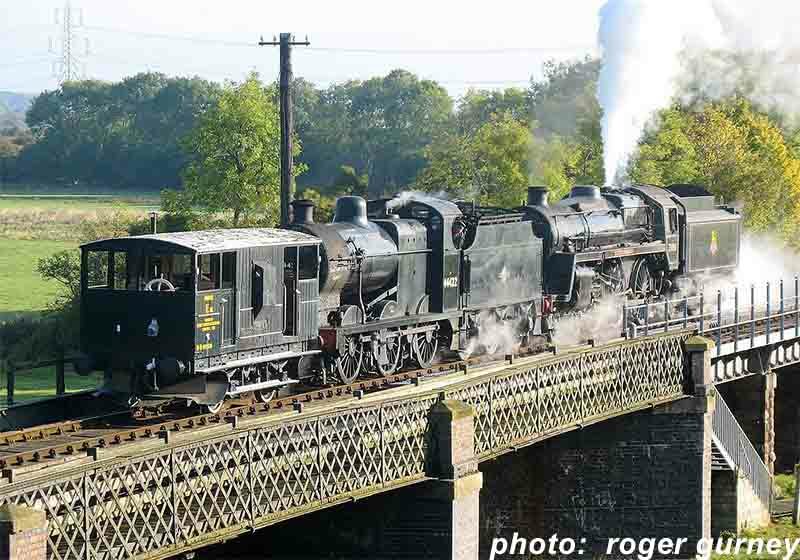 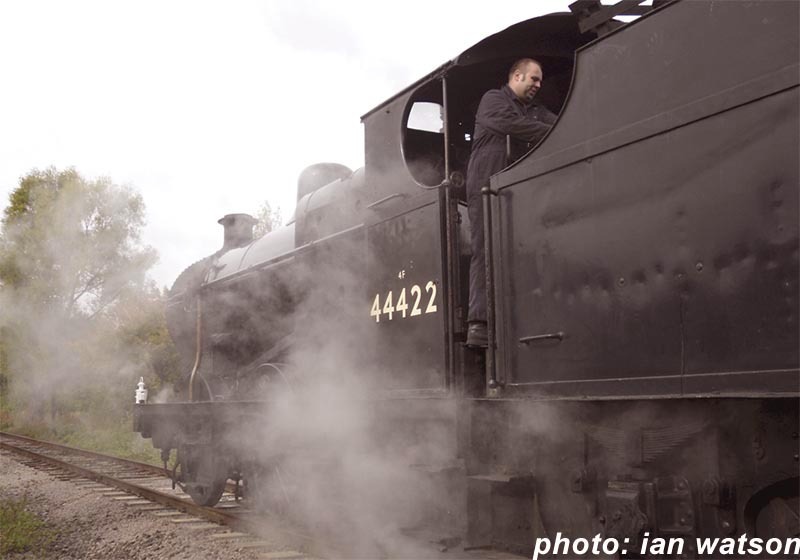 A celebration of the end of an era, the end of Steam and the birth of Diesel traction. 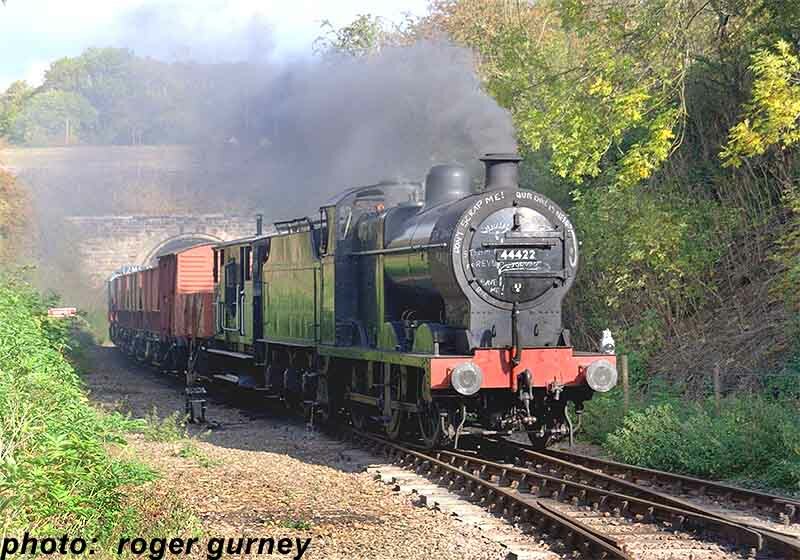 The celebration took place over the weekend 10th and 11th October. 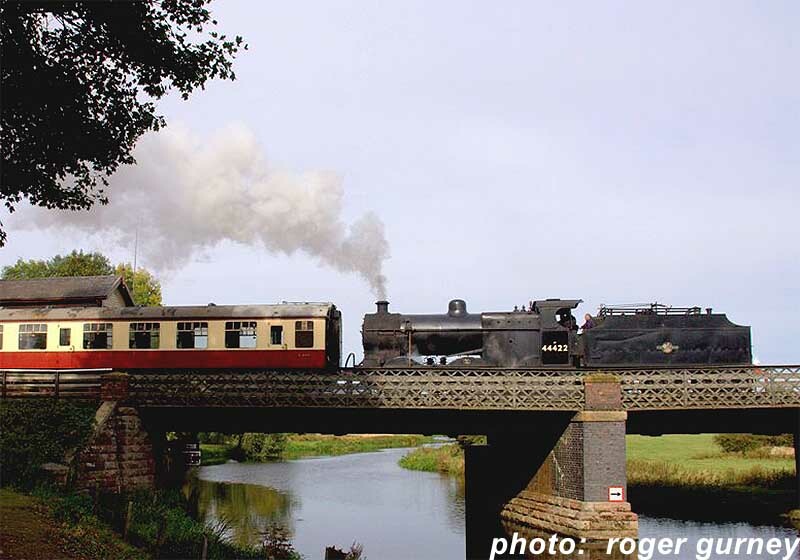 Below are some photographs kindly submitted by visitors to the line. 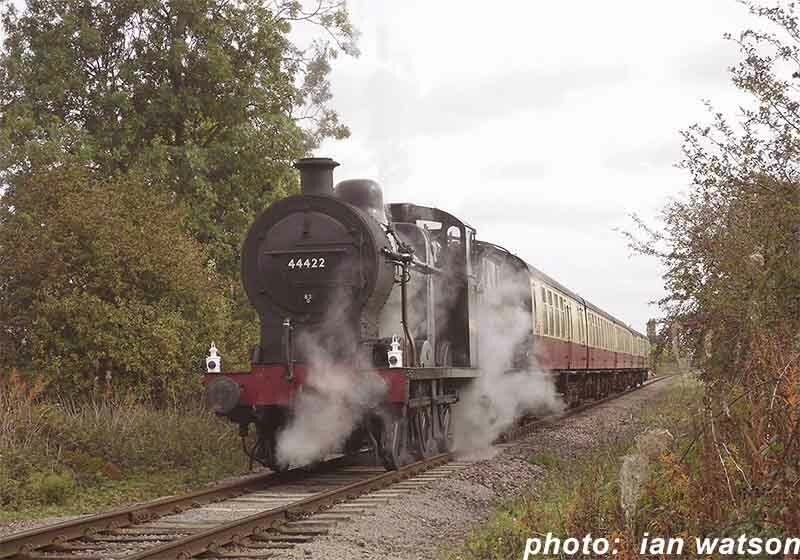 This is the first of three nice shots submitted by Paul Perton, taken on the 6th October 2009. 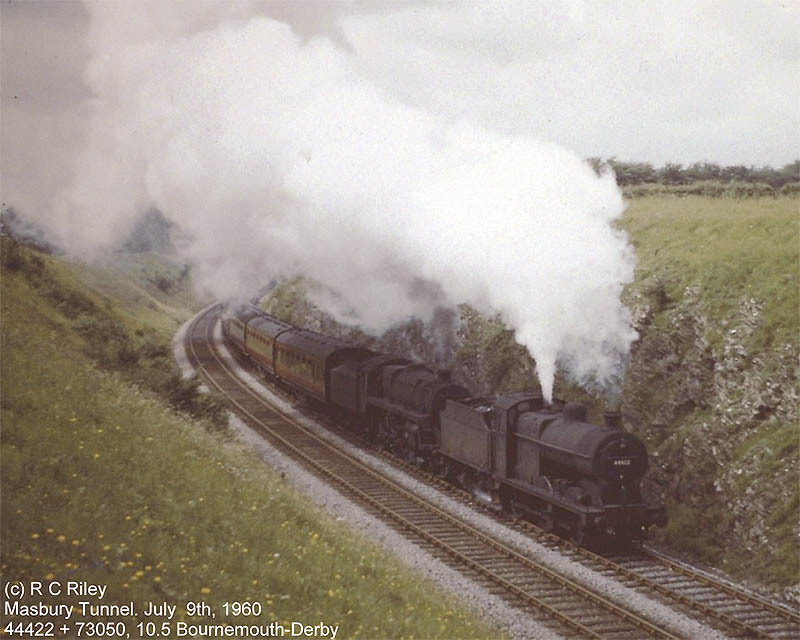 This shot is taken at Masbury Tunnel located North of Shepton Mallet on the Somerset and Dorset Railway. 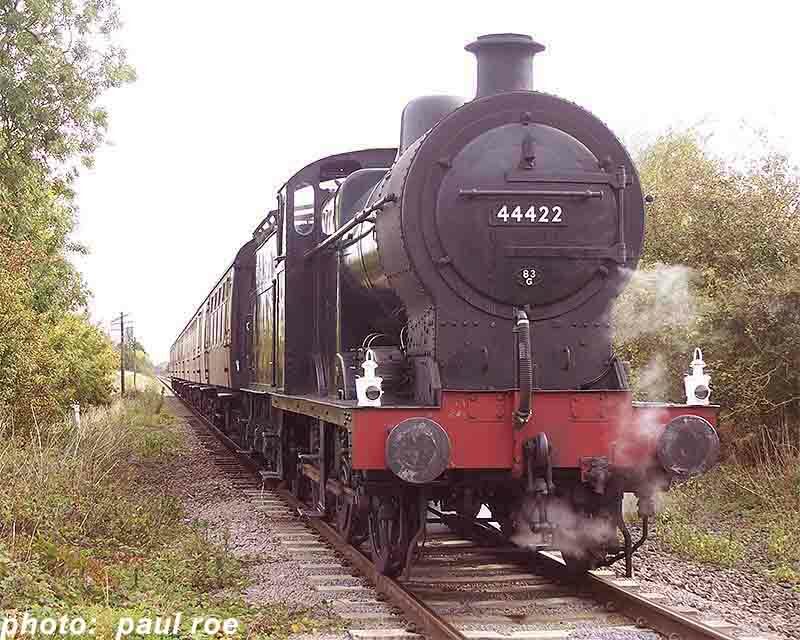 It was July 9th, 1960 when 44422 was piloting 73050 on a Bournemouth-Derby train. 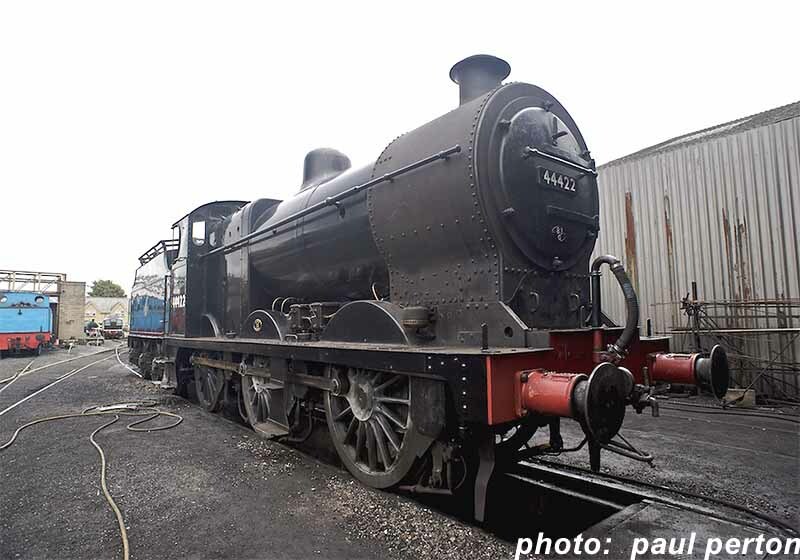 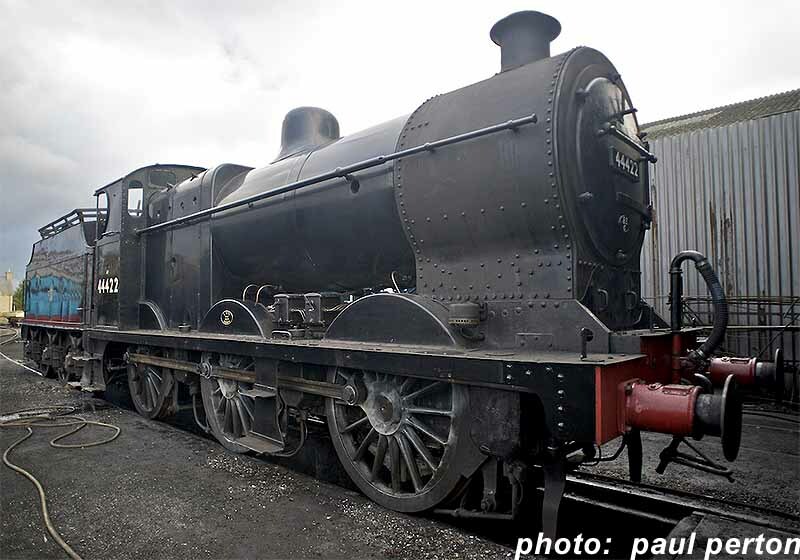 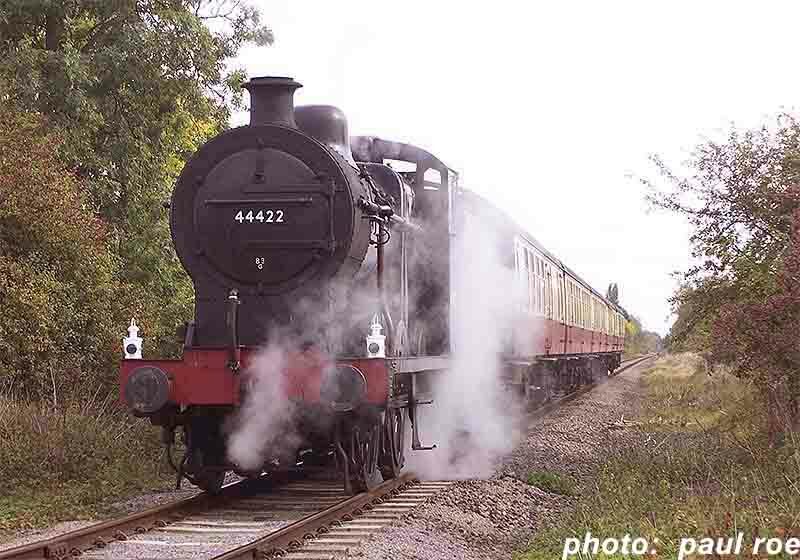 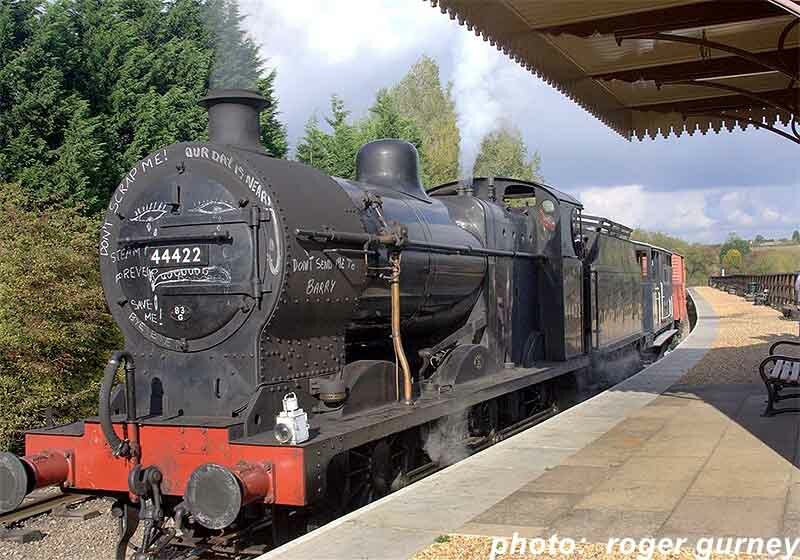 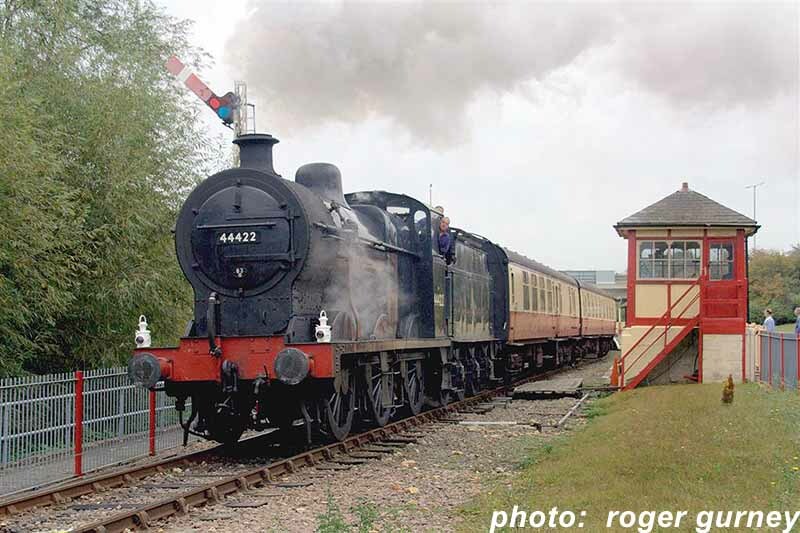 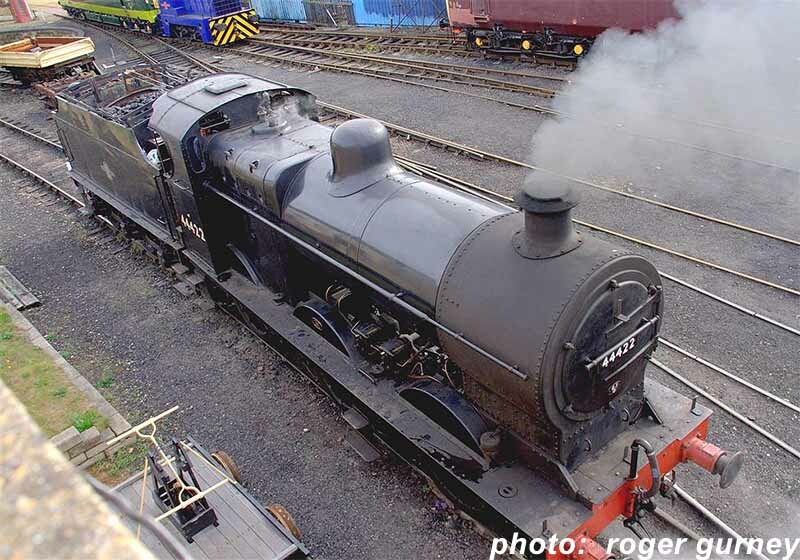 We are particularly indebted to Ian Watson for facilitating the use of this historic image of 44422. 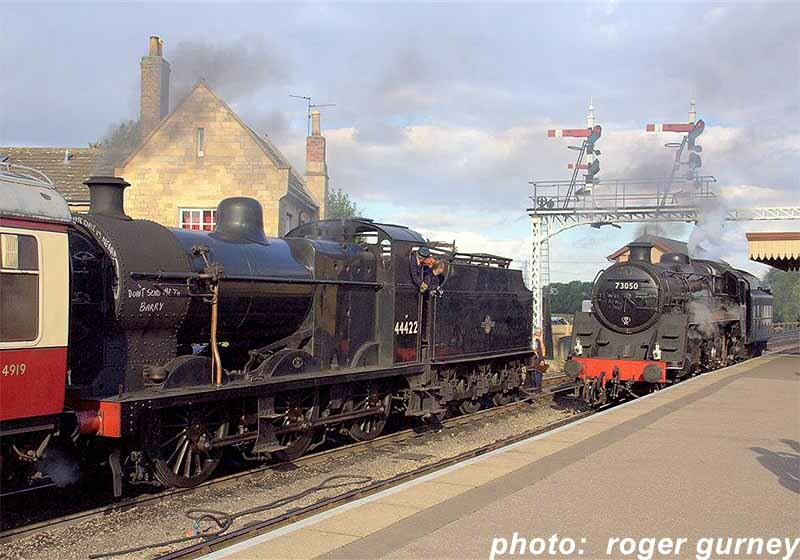 This configuration will be recreated at the NVR weekend event. 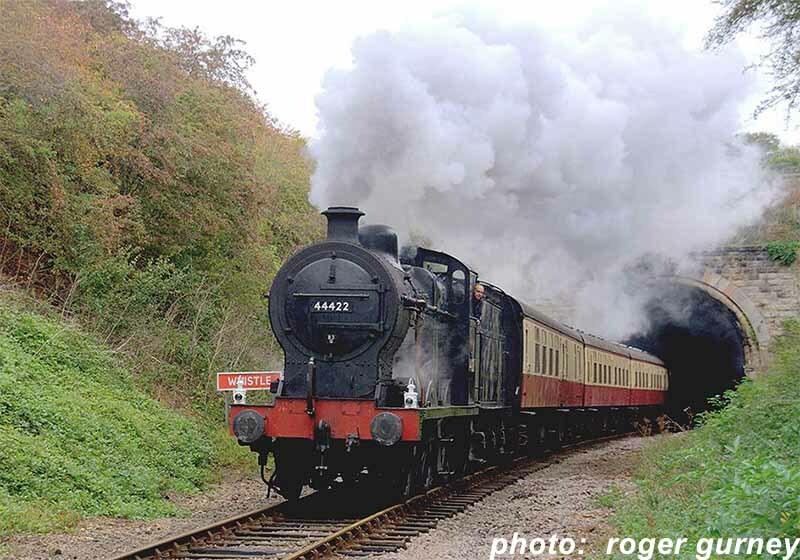 44422 passing the site of Castor Station on October 7th.